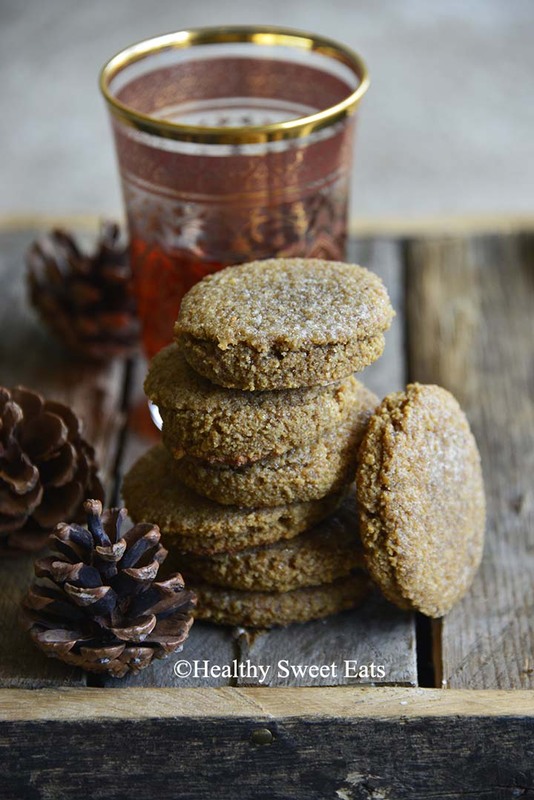 These Small Batch Low Carb Chewy Molasses Ginger Cookies are warmly spiced with rich notes of caramel. Have you had Molasses Crinkles? They’re warm-spiced dark brown cookies with rich notes of caramel, thanks to the use of molasses. Growing up, my mom made them in the fall, and they always seem so festive to me! These Chewy Molasses Cookies are a low carb version of Molasses Crinkles. They’re perfect for a festive holiday cookie tray, or lovely anytime you want to do some autumnal baking. The best part is that this recipe makes just eight cookies so you won’t be stuck with a ton of leftover cookies; or you can easily double or triple the recipe if you’re feeding a crowd….